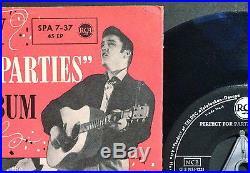 Extremely rare GERMAN pressing of this desirable early EP featuring Elvis. 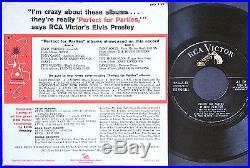 Please note the differences on its US printed EXPORT sleeve for Germany on the scans included compared with the ones on the standard US issue, most notably being the omissions of "RCA Victor" on the german version - here only stating "RCA". 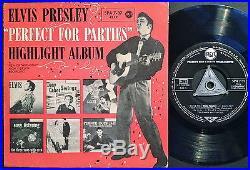 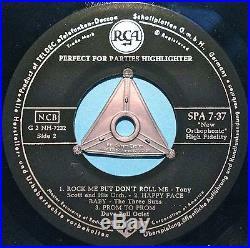 The item "ELVIS PRESLEY Perfect for parties Rare GERMAN orig EP 1956" is in sale since Sunday, January 17, 2016. 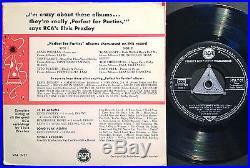 This item is in the category "Music\Records". 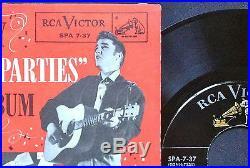 The seller is "nostalgipalatset" and is located in Stockholm.